Not Possible IRL: Truthseeker Young and "Voices: Orion's Arm"
Yes, that's it folks! Absolutely no need for any further pontifications from yours truly on this newest one by Truthseeker Young. Teleport directly from here. Thanks for the mention, Alpha! I'd be entirely remiss, however (not to mention an ungrateful little sh*it), if I didn't proclaim loudly that Rising in Light (pictured) is a collaboration between myself and Deebrane String. I was given tremendous freedom to follow my inspiration for the interior, but the station itself, and much more importantly its STORY is all Dee, all the way. To find out more, you can contact Deebrane in-world, or check out some stories from the Voices: Orion's Arm project here. ... and I'd be remiss, in my turn, not to blush. It's been a wonderful thing, to share some of the visions of the Orion's Arm project with Truthseeker, and watch them take forms I could but dimly imagine. I hope everyone reading this gets a chance, at least once in their lives, to have such joy from a collaboration. Last night the final Voices were installed in Rising In Light's Main Upper Screens and approved by both Deebrane and Truthseeker, and Rising In Light is now officially open! I feel honored to have been given the chance to compose the Voice of a living starship and proud to be part of the Extropia team. I echo Deebrane's joy in being part of such an extraordinary project and thank both Deebrane and Truthseeker for having the confidence in me to make a starship sing. 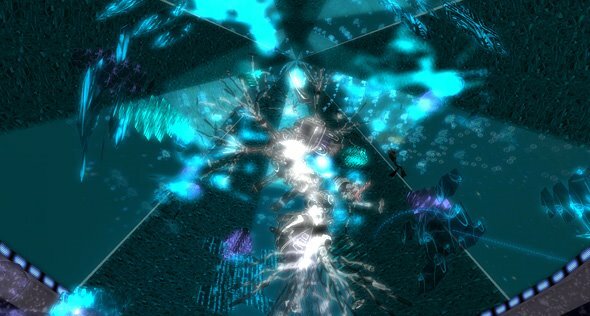 We've been doing some reorganizing in Extropia. 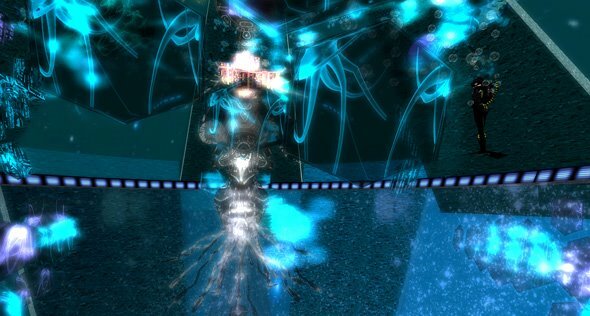 Rising in Light has moved over to Extropia Core orbit; the new SLURL can be clicked here.